Prospective evaluators and buyers of products and services within the financial services industry increasingly use the Internet to identify and evaluate providers. Research reports indicate that up to 70 percent of B2B buyers perform two to three rounds of online research to assist with their product selection process. To remain competitive in today’s ever-changing digital marketplace, businesses must invest and implement SEO tactics as part of their overall digital marketing. 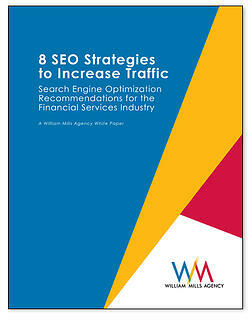 Follow our recommendations and best practices for improving website page rank for your keywords.